November is book-writing month for me. Thus, good people, I shall be distracted for much of the month because despite the fact that book number two is a non-fiction book, as was my first, I am still using National Novel Writing Month (NaNoWriMo) as my motivational tool to achieve 50,000 words before the 1st December. Ergo, November’s focus is on writing an average of 1,666 words a day, not blogging. 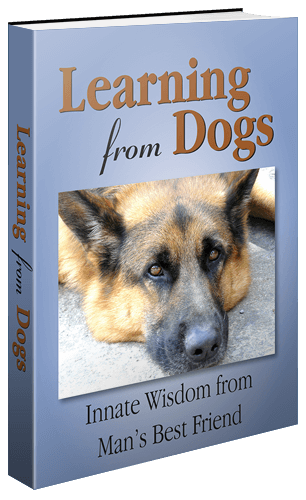 Last time, with my book Learning from Dogs, I did share much of what I was writing each day both in 2014 and 2015. This time I will not. However, I would like to share the draft Introduction to this second book that I wrote yesterday. It was a beautiful late-October evening. Not a breath of wind stirred the branches of the tall pines that soared up into the night sky around our house. Even a half-moon high in that sky out to the South didn’t diminish the mystery and magic of the stars that seemed to go on forever. It never ceased to fascinate me how wonderful it was to lose one’s mind in a dark night sky and ponder on the fact that in that instant, in that moment of my life, I was seeing the light from a star that had been travelling for hundreds or thousands of years. Thus it was this evening around 9:30pm when I had gone outside with all our dogs for their nightly leg-stretch before bedtime. Our six most beautiful dogs: Ruby; Cleo; Sweeny; Pedy; Oliver; and Brandy. There I was utterly oblivious to the sniffing and rustling in the piles of newly fallen Autumn leaves that were everywhere because so quickly once outside the house I had looked up above my head to that night sky and become lost. But to be returned to this very sweet present moment when ever so gently I felt Brandy’s soft shoulder touch my lower left thigh and then lean into me in what was so characteristic of him. I lent forward and placed the side of my face alongside Brandy’s warm, furry face and became as lost as I was in that starry sky. Now, however, it was as real and tangible a loss, if one could describe it as such, as that night sky above was as unreal and mysterious. For it was me being lost in the love that Brandy was sending me, in his breathing, in his posture, in his closeness to me, in his whole demeanour and in my own deep emotional loving reply to Brandy. Then it clicked. A philosophical click that was as bright and clear as that fabulous half-moon. This is how I would introduce my book. The book that I had committed to write in the month of November. The book that I was going to start writing the next day but hitherto hadn’t a clue as to how I was going to set the scene. For my next book was an exploration into the relationships that dogs and humans form with each other. Brandy’s story since he had been part of my life, and the life of my sweet, dear Jean, was a story of just how incredible, glorious and special the love between a human and a dog can be. How the weeks and months since that fateful day on the 9th April, 2016 when we first met Brandy had given me the inspiration to go as far as I could in describing and understanding what having a dog in one’s life truly meant. Welcome to The Dog And I. So hope all you good people will understand if my blogging activity is varied and replies to responses likewise a bit ‘up and down’. It is likely I will be re-posting quite frequently items that have previously been shown on Learning from Dogs. Your next book also seems to be worth reading. Thank you, Irene. 49,400 words to go! John, without a doubt. Brandy is an amazing dog and that’s not to diminish any of the others. The unexpected bonds with my dogs has changed my life. I can’t imagine my life without them. What a great topic for a book! Oh, that is lovely to hear and makes me want to hear more. Thank you! Paul what a splendid introduction my friend and I remember you posting when you and Jean fetched Brandy.. And I am sure dear friend this second book of yours will be just as delightful as your first..
Dear, dear Sue, that is so lovely of you to send me those words, thoughts and wishes. To be honest, I’m very unclear as to how this book is going to evolve but all the experienced authors out there say to just write!! So that’s what I will do, aided and supported by the friendship of you and so many others! I seem to recall you mentioning this before. Come on! Let’s have a race!! Oh, you beautiful lady, thank you so much! Looking forward to the rest of the story once finished. The beginning already has me yearning. Good luck with your writing challenge. I’m quite sure you’ll fulfill your goal and then some, with the ever pawsome Brandy as your muse. Wonderful! Thank you. I am up to 5,100 words and really enjoying the writing. Just popped into this place before returning to ‘the project’. Big hugs to you!